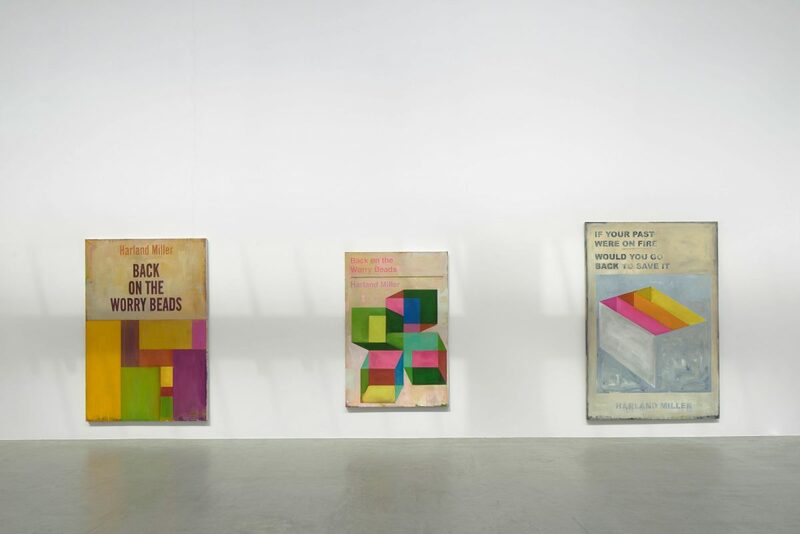 Tonight We Make History (P.S. 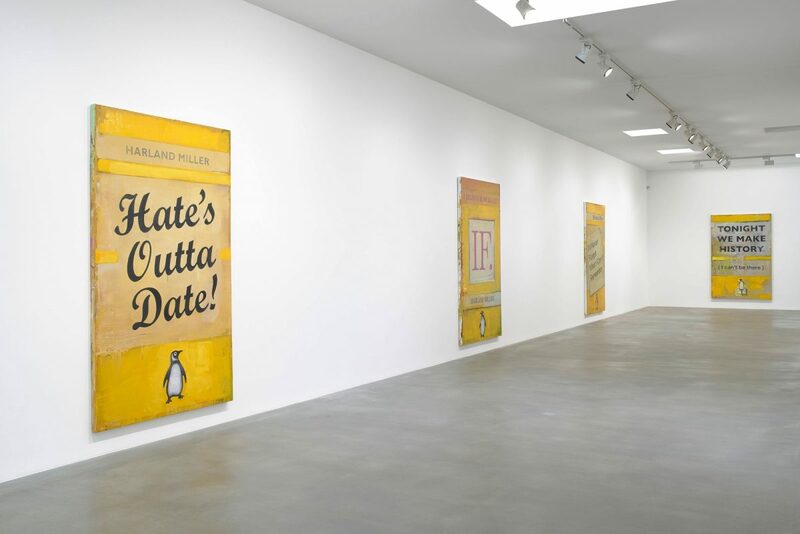 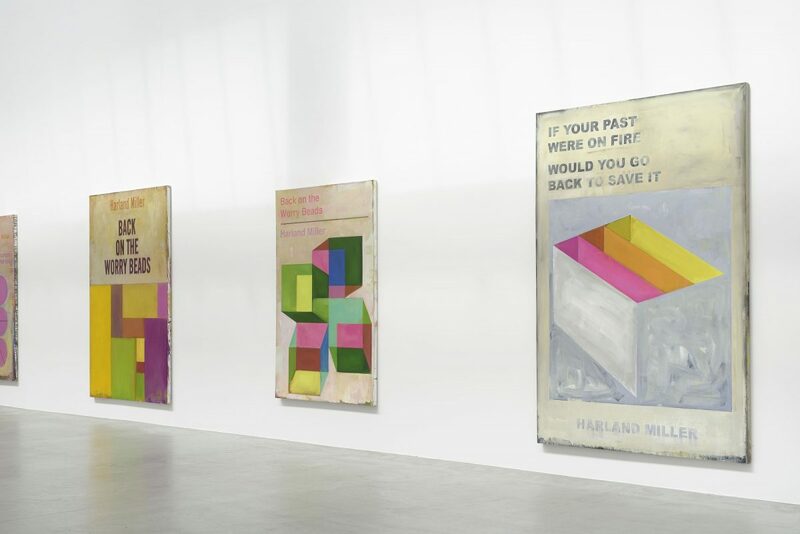 I Can’t Be There) is Harland Miller’s first solo exhibition in Germany. 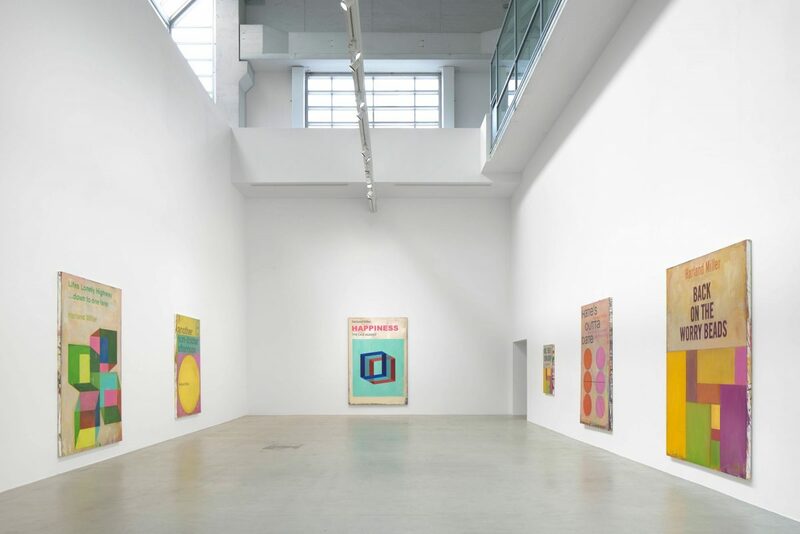 Departing from his use of appropriated imagery, the exhibition comprises many new large-scale paintings that incorporate his own designs, which is a first for the artist. 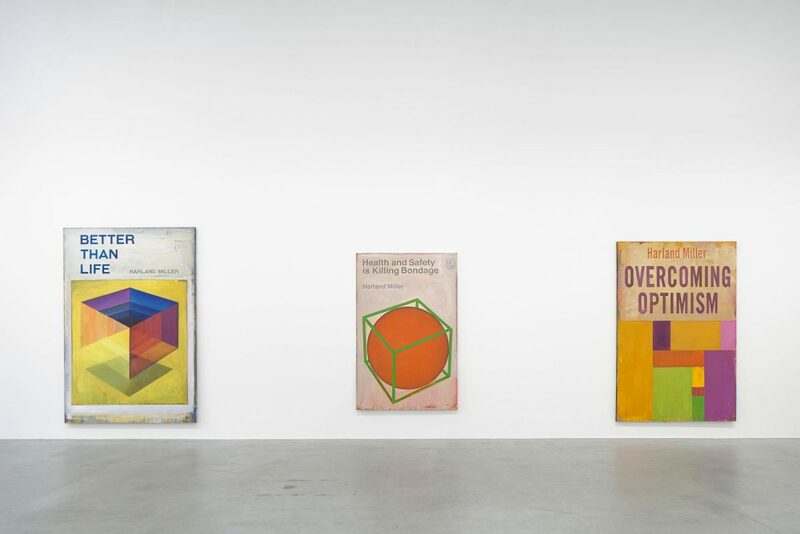 He takes formal and conceptual inspiration from the abstract geometrical covers of popular psychology books of the 60s and 70s, an era when positive messaging often masked societal neurosis.